Podcamp + Wordcamp Hawaii was founded by Roxanne Darling. 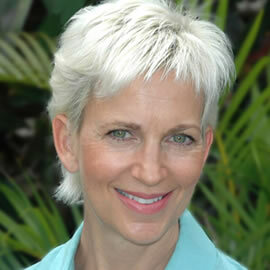 Roxanne is a long time video podcaster, a popular speaker, and Hawaii's leading evangelist for business users of podcasting, blogging, and social media. She, her partner Shane Robinson of Bare Feet Studios, and fellow podcaster Todd Cochrane (author of the first book on Podcasting) began talking about having a podcamp here in Hawaii back in 2006. But it's a lot of work to put on one of these events, especially when so few people locally knew much about the topic of a podcamp or about podcasting in general. The desire for Roxanne became irresistible though in the spring of 2008, after speaking at Podcamp NYC and once again experiencing the tremendous energy and accomplishments associated with so many previous podcamps. So she put out a call for volunteers. Meetings were held; there were fans and skeptics alike. Over the next several months, many would come and go. The magic of podcamp is that it has a life of its own, and it was determined to survive! June Matsumoto, at the Hawaii Convention Center, was one of our early supporters. Without her vision and her help, podcamp may have happened but certainly not with the success and glamour that are possible at the HCC! Sponsors started coming on board - before we even contacted them in some cases! First to give us cash was local podcaster and tourism business, Hawaii-Aloha.com. RoadRunner stepped up to provide free TV and email advertising. You can see all of our wonderful sponsors in the right column of any page on this site. We have attracted an amazing team of people who helped to bring you this event. Here's the starter batch and please look around the web as I am sure you will find many more who helped put Podcamp Hawaii on the map! (Leave us a comment if we have inadvertently missed anyone and we will update this post.) Many of these people were also onsite volunteers. We thank you so much!